Rather unusually, I’m ending 2016 with two blogs on a different kind of ‘non-fiction’ books. The first is a blog on a self-development book by Richard Craig – The Light Bulb Strategy (7 Steps to Switch It On and Lead a Brilliant Life), and the second book is on change management – Art and Science of Transformation by Harold Schroeder (see the blogpost below). Both authors are Canadian and Toronto-based. 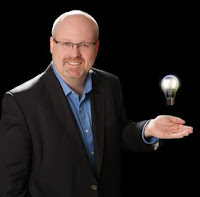 Robert Craig is a personal development author, speaker and coach, with a background in finance, training, operations, project management, marketing, strategy and real estate investing. 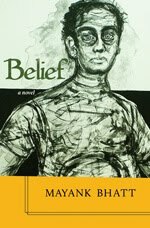 His book is about brilliance. “It’s about leading your life in such a way that you find your brilliance, grow it and share it with others. It’s about reaching your potential; having a fulfilling life and helping others do the same.” However, he says, brilliance doesn’t happen on its own; one needs to plan for it strategically. 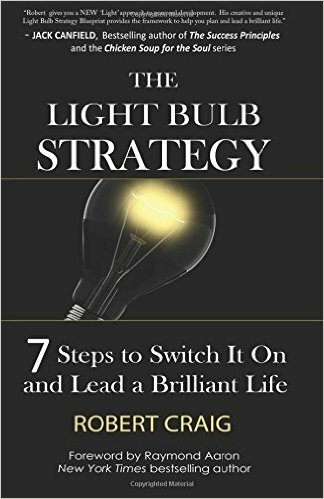 The purpose of The Light Bulb Strategy is to take a complicated subject – designing one’s life to be brilliant and making it simple to understand. Step 5 - Protect Your Light Bulb – This is where we define WHERE we will get our big things done. He glass globe itself represents time – time is limited. It’s about WHEN we are going to get those big things done. 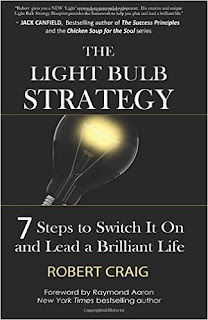 Step 7 - Reflect on the Brilliance From Your Light Bulb – This step is represented by the actual glow of the Light Bulb. Here we will look at the levels of brilliance – the better the execution towards achieving your goals, vision and mission, the brighter your Light Bulb shines! Craig then explicates each of the seven steps in great detail. The book offers great insights into personal development and Craig makes his concepts easily relatable by linking them to everyday situations. Here’s a passage that had a poignant resonance with my present personal situation. Being a parent is such a huge responsibility. Our influence helps to shape their lives as they journey to become adults. We set the example that they see every day through their eyes. They are always watching to see how we act, react and behave. We need to teach them strong values, but more importantly we need to live to those values. We need to allow them to make mistakes so they can learn from them. We need to let them try different things so they can discover what their passions are. They need to be able to ‘Build their Base’. That is to build a strong, secure base which will give them confidence and a sense of well-being. Communication with our kids is vital as well. We need to spend time and listen to them, understand them. To listen to their victories and understand what concerns they have about the world they live in.